According to a recent news article form NECN, a worker in Plymouth was killed when an avalanche of sand trapped and crushed him and the bulldozer he was driving. He was working for a sand and gravel company, and he and other workers were operating bulldozers and other heavy machinery to remove sand from a large pile that measured over 150 feet high. More than two dozen emergency workers from across Plymouth County arrived to help get the trapped workers out from under the sand. They used heavy equipment and teams of workers to try and unearth the bulldozer, but more sand and large rocks would fall on top of what they had just removed, making it virtually impossible to make any progress in a short of amount of time. As the day wore on, and the temperature became hotter, the sand would dry out, making it even more difficult to move. 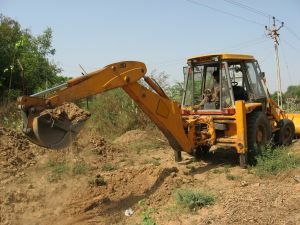 Authorities say the were finally able to reach far enough into the large bulldozer to grab the employees hand, but quickly realized the 65-year-old man was nonresponsive, as he had been killed by the weight of the sand or possibly from asphyxiation. The cause of the accident is still under investigation, and as our Boston workers’ compensation attorneys can explain, in the case of a fatal industrial accident, the United States Occupational Safety and Health Administration (OSHA) is required to perform a full investigation and determine the cause of the accident, and to see if any safety violations had occurred which contributed to the fatal accident. If OSHA determines there were safety violations, it has the power to issue violation reports and assess fines on the company responsible for any violations. It should be noted that OSHA is investigating this accident according to agency policy, and it has not determined the company committed any violations as of this time. The company did, however, decline to make any comment in response to this fatal on-the-job accident, though is not necessarily out of the ordinary for a company to refuse to speak with reporters following an accident. In many cases, the company will simply express their condolences to the family for their loss.